How has the science of materials affected our lives? Why do British people put milk in their tea? And what does that have to do with the clothes we’ll be wearing in the future? The prestigious Ministry of Defense Prize is awarded annually to researchers and teams from the defense industry and R&D institutions that have made significant, groundbreaking contributions to Israeli defense R&D. It was first conceived by Israel’s first Prime Minister, David Ben-Gurion, as an award for contributions to the security of the State of Israel. This year, the Prize was awarded to Prof. (Emer.) Emanuel Peled of TAU’s Raymond and Beverly Sackler School of Chemistry, the sole representative from academia among the winners this year. Prof. Peled is a leading world scientist in the field of batteries and fuel cells. He is the developer of the Solid Electrolyte Interphase model for active metal non-aqueous batteries, which are the key component of lithium batteries. Together with his students, Prof. Peled pioneered the development of calcium-thionyl chloride batteries for deep oil drilling. He was the first to develop a rechargeable lithium-sulfur battery based on porous carbon cathode loaded with sulfur. Prof. Peled has developed a 3-D silicon-chip lithium-ion micro-battery, together with TAU Prof. Dana Golodnitsky of the School of Chemistry and Prof. Menachem Nathan of the Iby and Aladar Fleischman Faculty of Engineering. He also cooperated with Rafael Industries on the development of lithium thermal batteries for missiles, which the company produces for the Israel Defense Forces and for export. Together with a team at JPL- NASA he developed a composite solid electrolyte. 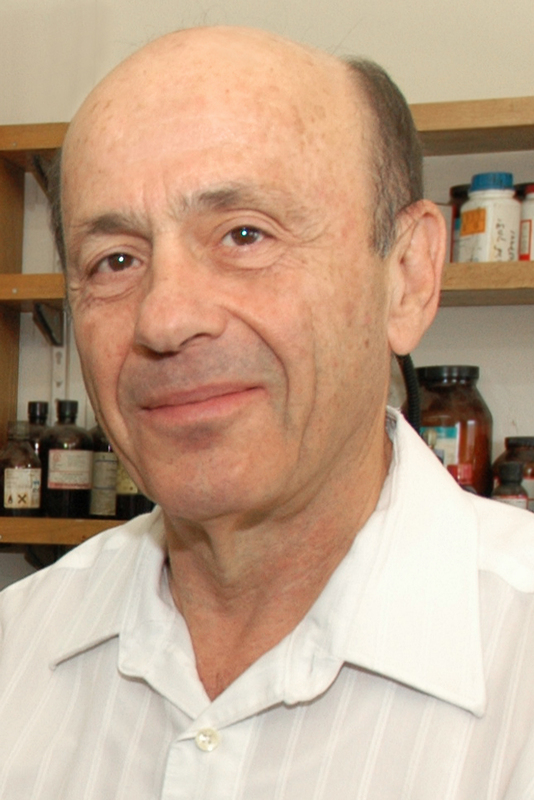 Prof. Peled was co-founder of the startup Chemtronics, a company that developed a unique state of health and state of charge meter for lithium batteries. The technology was transferred to an Israeli electronic company (QPS). He is a co-founder of EnStorage, a startup company aimed at the development and commercialization of very large energy storage systems based on a regenerative fuel cell and a co-founder of Honeycomb, a startup company aimed at the development of 3D batteries. Prof. Peled joined the TAU faculty in 1973 as lecturer and became Full Professor in 1991. In 2011 Prof. Peled retired as Professor Emeritus however, he continues to teach and conduct research. His research group consists of six PhD students, two postdoc researchers and three engineers. From 1997 to 2000 Prof. Peled was Director of TAU’s Wolfson Applied Material Research Center and the Gordon Center of Energy Studies. He led the committee that established the multi faculty graduate program in Science and Engineering of Materials and he serves as its coordinator. For his achievements in the field of power sources Prof. Peled was awarded the Electrochemical Society Battery Division Research Award, the Landau research Award, the International Battery Associations (IBA) Award and the Israel Chemical Society Outstanding Scientist Award. He has published 177 papers and holds 47 patents and pending patents in the fields of batteries and fuel cells.